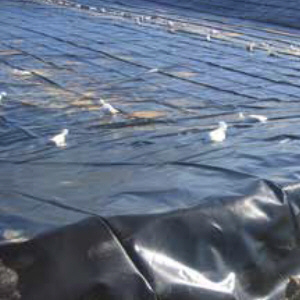 GeoFlex PP30 and PP40 are exceptionally flexible geomembranes achieved by incorporating high levels of ethylene propylene rubber into polypropylene. GeoFlex polypropylene membranes contain no plasticizers that can leach out and hinder long-term flexibility and performance. GeoFlex fPP-Series provides outstanding resistance to environmental stress cracking even at elevated temperatures and in addition to aggressive chemical environments. Click here for Product Data Sheet.